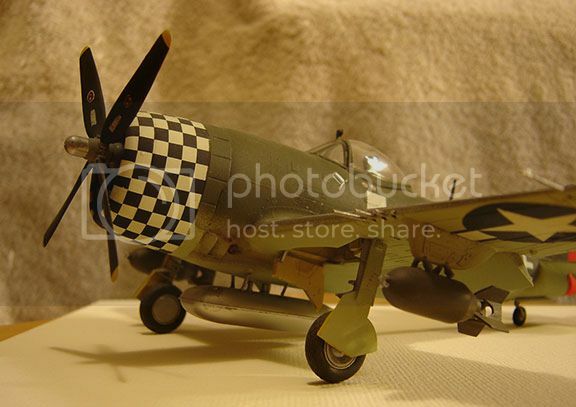 My 1/48 Testors (ex Hawk) P-47D. Obviously I used a few extras to jazz it up. Afflicted with AMS for awhile, I like to use leftover parts from other kits. Cockpit , prop, engine and engine cowl, wheels and landing gear are from Monogram. 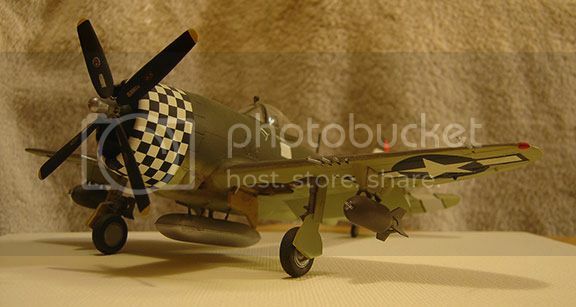 Drop tank and bombs are from Academy. Flaps, elevators are from a Medallion Models set. Decals are Superscale, problems with matching the checkerboards are by me. Nice build! Proof that there is plenty of life still left in some of the "oldie but goodies"! I appreciate this build very much. 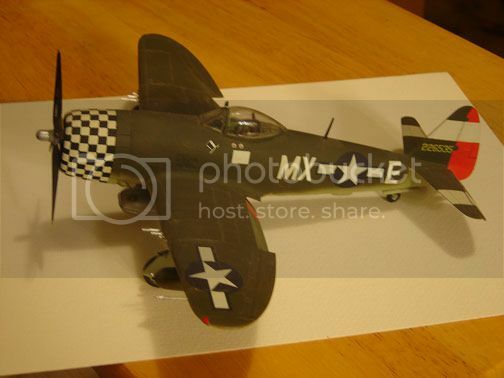 I agree with John, I'm a big fan of the old Monogram 1/48 Razorback, I've build 3 and still have a couple of them in the stash, plus 2 or 3 Bubbletops.